Prada high-top sneaker in nylon and smooth leather. Reinforced round toe. Lace-up front. Grip straps at vamp and ankle. Logo detail at tongue. Padded collar. Leather and rubber heel counter. Textured rubber outsole provides traction. Imported. 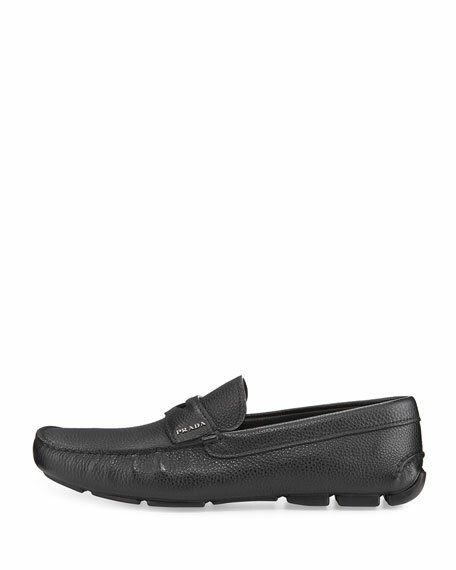 Prada men's low-top sneaker in mesh with patent leather details. Round, reinforced toe. Lace-up front. Logo tag at tongue. Padded collar. Reinforced heel counter. Leather lining and insole. Rubber outsole. Imported. 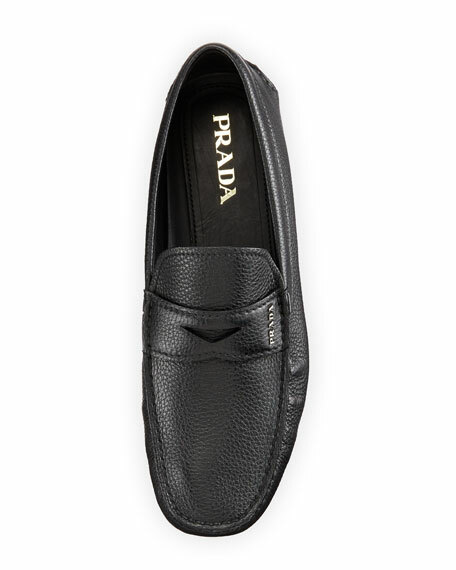 Prada smooth vitello leather shoe. Round cap toe. Lace-up front. Leather footbed. 1" stacked heel. Comfort rubber outsole. "Bristol" is made in Italy. Prada "Cloudbust" sport sneaker with knit upper. Reinforced round toe. Laceless front with grip-strap. Tabbed backstay. 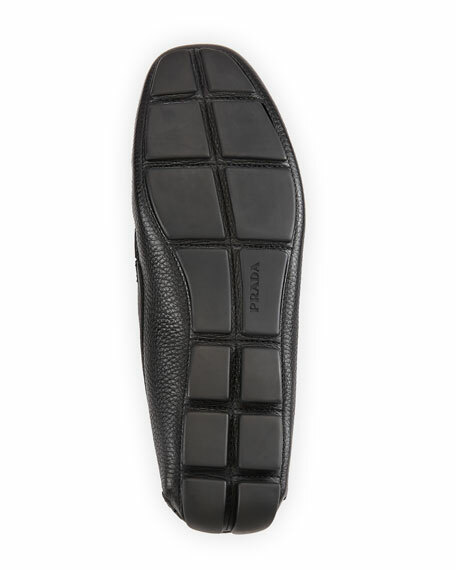 Contrast rubber outsole. Dad sneakers. Imported.